For the love of life: Just For You! 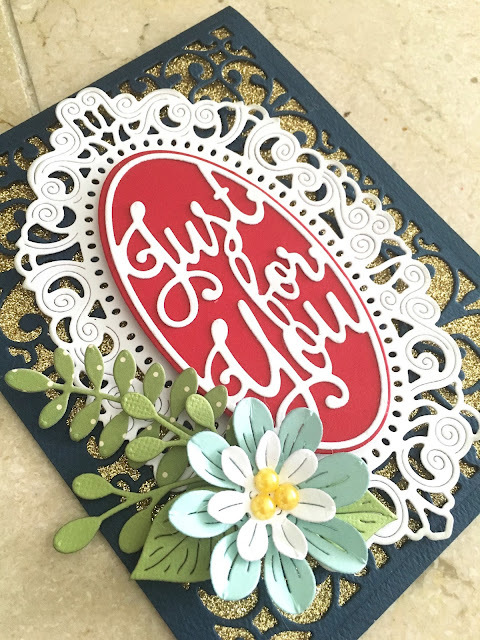 Hello, hope you enjoyed our blog hop yesterday and all of our new dies. Today I continue sharing a card created with some of our newest dies. 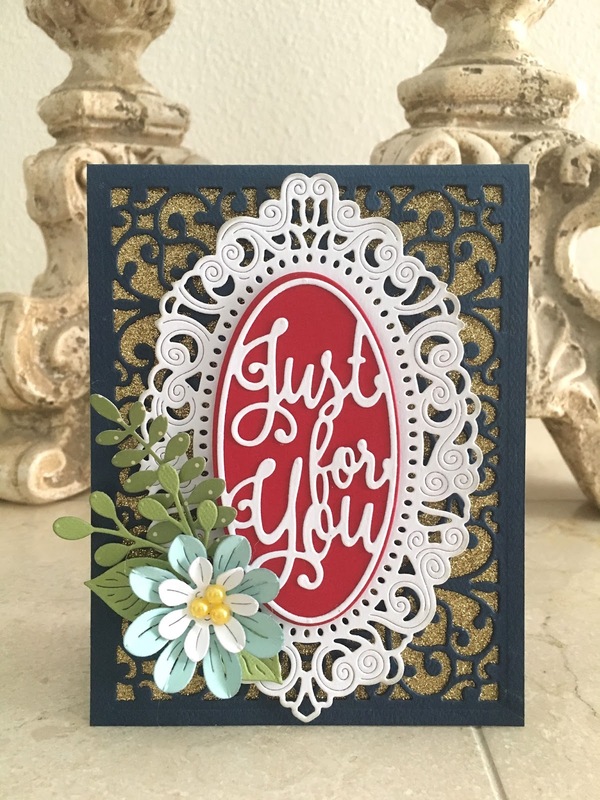 To create this card I cut an A2 size card base out of navy card stock and die cut the front with Card Cover Maker #4 and added gold glitter card stock beneath it. Next I die cut Mirror Mirror Doily Frame out of white card stock and also die cut the extra oval from the set using red card stock as it coordinates perfect with the Just For You Oval Die, which I die cut out of white card stock and glued them together and finally placed the on the doily. Next I die cut the flowers and flourishes from the Floral Bouquet Kit Die Set, built the flower and added them all to the card. Finally I added some yellow pearls in the middle of the flower. Thanks for stopping by and hope to see your cards in our challenge!